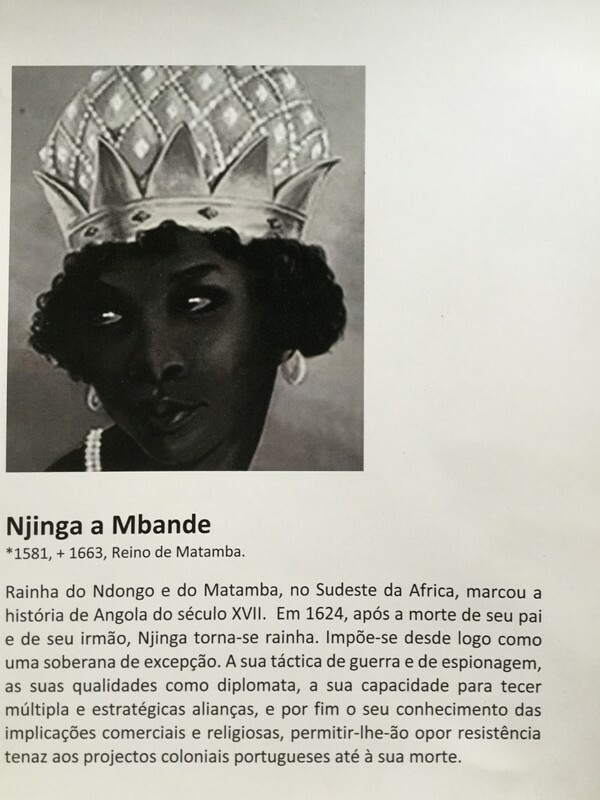 translation: As Queen of Ndongo and Matamba, in Southeast Africa, she marked the history of Angola in the 17th Century. In 1624, after the death of her father and her brother, Njinga became the Queen. She immediately became an exceptional sovereign. Her war and espionage tactics, her qualities as a diplomat, her ability to form multiple and strategic alliances, as well as her knowledge of commerce and religion, allowed for her tenacious resistance to Portuguese colonial projects until her death.